Twitter and Comedy Central have kicked off a five-day experimental online comedy festival that will take place on Twitter and Vine, beginning first with a live-streamed event featuring Mel Brooks, the “2,000 Year Old Man,” as he signs up for a Twitter account with the help of Carl Reiner and Judd Apatow. Brooks and Reiner made literal comedic history in the 1960s with their 2,000 Year Old Man sketches. Now they’re modernizing the gag by bringing Brooks onto Twitter. To watch the event, you can follow @MelBrooks’ tweets, hit up the live-stream, or watch from Comedy Central’s website. 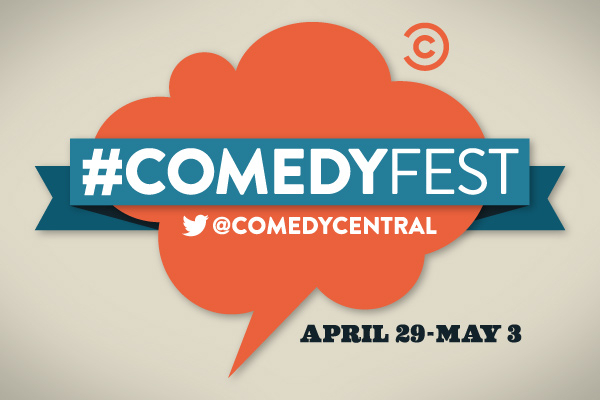 Announced last week, the festival, which is named #ComedyFest, runs from April 29 to May 3. It features 68 comedians, with a range of events including live-tweeting episodes, Q&A panels, drinking games, a roast and a Vine party. Comedy Central has the full schedule for the week, or you can read Twitter’s invitation post for the event. Fresh off a huge ad deal with Starcom MediaVest Group, Twitter is forging ahead as a legitimate media company. This week’s partnership with Comedy Central is already a huge affirmation of the power of Twitter’s platform, though the kind of reception it gets will determine its success. In many ways, comedians are an ideal use case for Twitter, assuming they can fit their jokes into 140 characters. With Comedy Central putting the full arsenal of Twitter’s technology: hashtag, Vines, and in-tweet streaming, to work this week, there’s a good chance that some of the platform’s 200 million active users will get a kick out of it.